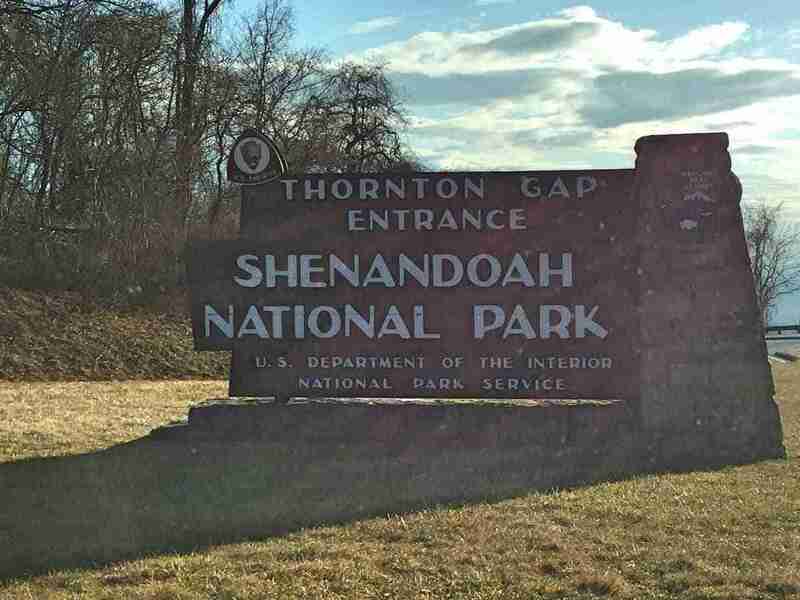 Once again, I decided to visit Shenandoah National Park (SNP) in Virginia and activate summits south of Thornton’s Gap. When I arrived early Sunday morning, the entrance park toll booth had a sign that read, “Pay when you leave”. Well, thanks to my awesome mother-in-law who gave me a 2017 Park Pass for Christmas this year, I was good to go. Later that day when I left there was a line going into the entrance half a mile long. It pays to get there early, even in the winter. 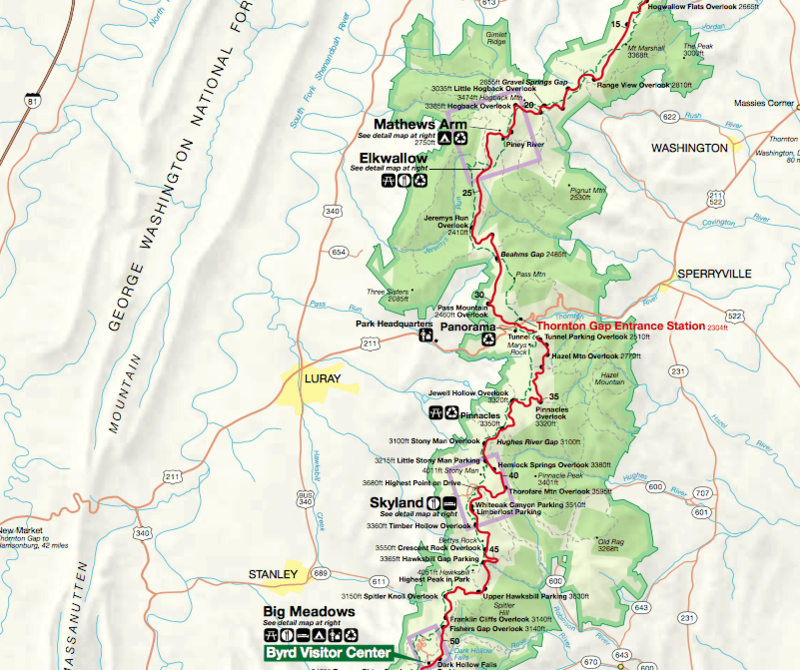 This trip I was going to work my way south from Thornton’s Gap and attempt to activate three SOTA summits. On my way to the first site, I came across a massive herd of deer. SNP is teeming with them and the speed limit of 35 mph is heavily enforced. As I made my way down the curvy roads, I suddenly realized that there was a parked car (with NJ tags) in the middle of road. No brake lights on, the car was just sitting there. Fortunately I was doing the speed limit and didn’t rear end them. Another good reason not to speed in SNP. I finally arrived at my first site: Hawksbill ( W4V/SH-001). Gearing up, I quickly made my ascent. 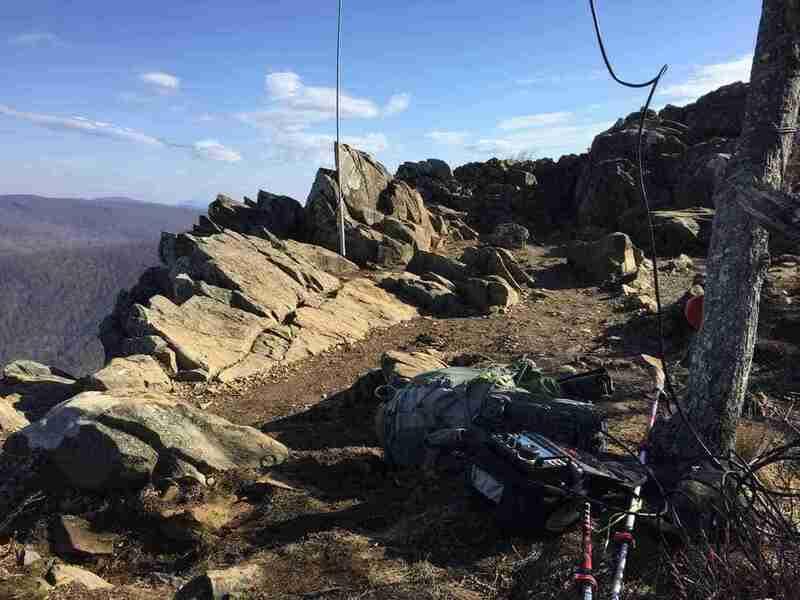 At the summit, there were only a few people so I deployed my PackTenna end fedantenna /KX3 radio combo and got on the air. The wind at the summit had kicked up which made for a chilly activation. Nine QSO’s were logged and I received 3 bonus points for a winter time activation. I don’t know if 60 degrees qualifies as winter, but I will take it. 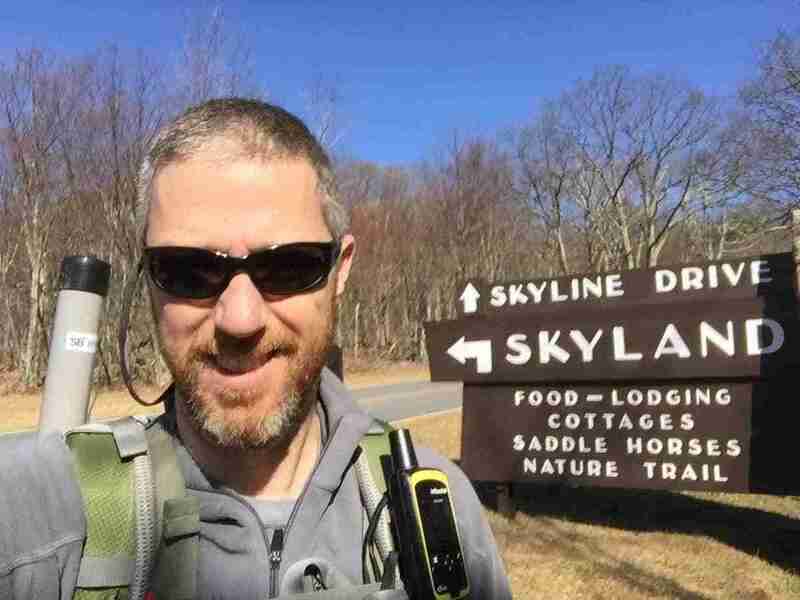 I returned to the trailhead and headed to Stony Man Summit. Unlike Hawksbill, this would be the first time activating Stonyman summit (W4V-SH002). I parked in the parking lot south of the Storyland rest area (which is closed during the winter) and hiked the AT to the summit of Stonyman. At the top was a TON of people (the tour bus at the parking lot was a clue), so I found a little spot off the main trail and managed to eek out 4 contacts on 20 and 40 meters. I tried calling on CW for awhile to see if the Reverse beacon network would pick me up, however later checking at home, they apparently never heard me. 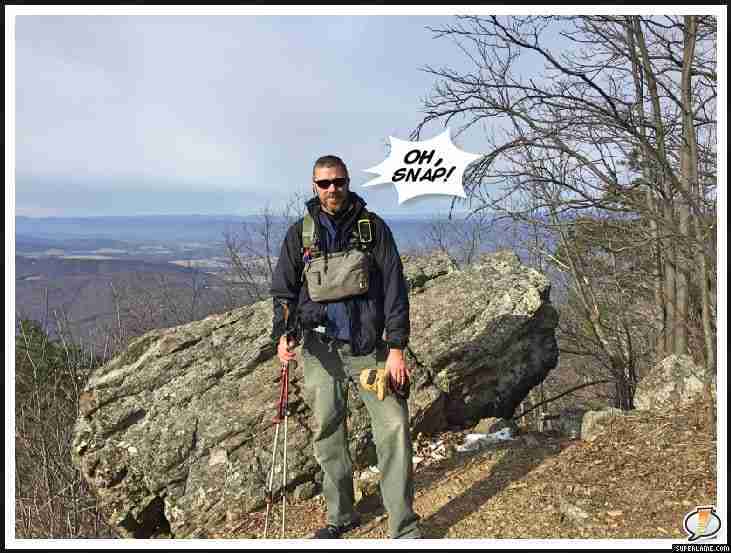 Finishing up, I headed back down the trail and about halfway down, I stumbled on a loose rock and felt a popping sensation and severe pain in my left ankle/leg. The kind of pain that makes you scream like a banshee. I didn’t fall down, however I was pretty crippled at this point. Thank God I had my hiking poles as they now served as temporary crutches. I ran various scenarios in my mind on how to treat it, but at this point I was a mile away from the car and while I was jacked on adrenaline and anger, I decided to hobble back asap. In hindsight, I should have used my compression bandage to wrap the offending foot and immobilize it. I did get a few strange looks as I hobbled my way back to the trailhead. Getting back to the car, I drove home and closely examined my leg. At this point it was very swollen and painful. I figured it was just a sprained ankle, but considering I fet something tear, I decided to get it checked out. The following morning I went to the doctor and had x-rays done. 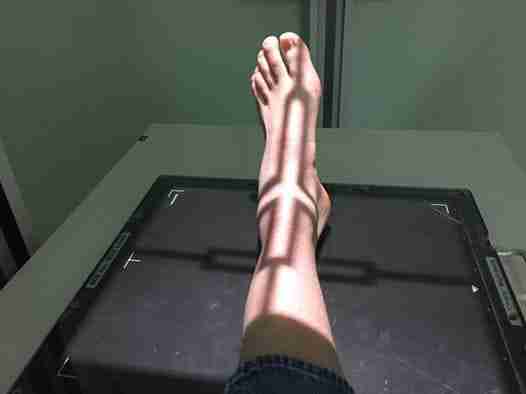 The unofficial diagnosis is a fractured fibula. We’ll see what the Orthopedic doctor has to say. 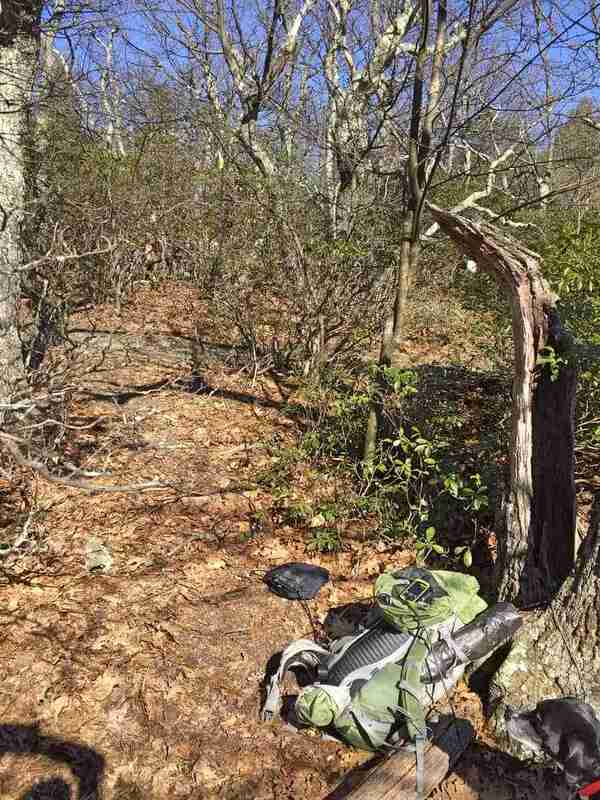 While this was a highly traveled trail and if I had been unable to get myself out, I still had my InReach to contact for help AND I had left a detailed hiking plan with my wife with strict instructions to call 911 if I didn’t contact her before 1900EST. 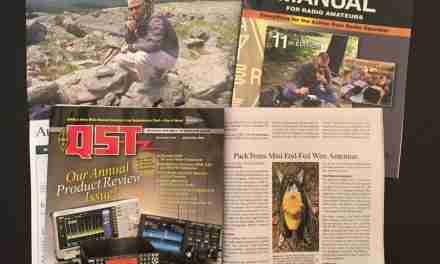 All in all, I did manage to activate two SOTA sites. Once I am healed back up, I will be back on the summits calling CQ. The SOTA mast lacks a point of attachment on the top mast section. I improvised with a rubber band attached to the end of my antenna. This provided enough friction to prevent sliding and worked as an excellent attachment point. When injured, the best course of action is to sit down, examine your site of injury and collect your thoughts. When someone you are with is injured, it is much easier to have that disconnect where you can guide them in a safe manner. When you are injured and by yourself, your focus becomes narrow and it is hard often to the see the whole picture. Honestly, I thought it was a minor injury but once I got home I realized it was more severe than I originally thought.